I can't wait til I get my own computer down here so I don't have such a dangerous journey. Anyway I've also been working on a new design for a special kind of hat that helps to keep the global warm up dangers off your head and points them back where they came from - will post a little picture of it soon for you all to see. I'm also working on my next broadcast of MFB TV and this should be done quite soon. In the next few weeks I will also be posting some exciting information about some meetings and talks that I will be doing this summer - it will be your chance to meet me and learn something about how you can make a safer life below the surface. As promised here's my futuristic plan for the 'white goods shelter' - washing machines make for great insulation on the walls and the great thing is you can also use their interior for storage space. 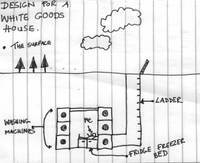 I'm really pleased with the concept for the fridge freezer bed - and if you can get it working then as you sleep you will know that all your food is chilling and safe below you, no one can come and steal it if ya sleepin on it. I've been really busy so sorry for not posting for a bit. Been extending the shelter to accomadate a second room and workshop so I can start changing the area quicker - I want space to work on some rhinos. I've been investigating other parts of the area and been putting in a lot of work on my Excel Centre plan (see below). It's taking a long time to tunnel underneath it - it seems they used some really solid material to build the foundations, I think I might need to go and get my hands on a road drill to speed things up a bit. The plan is to swim beneath this isaw at night with the road drill and drill a few big holes in it. Before you know it 'the world's first sunborn yacht' will have taken on water and be completely submerged. 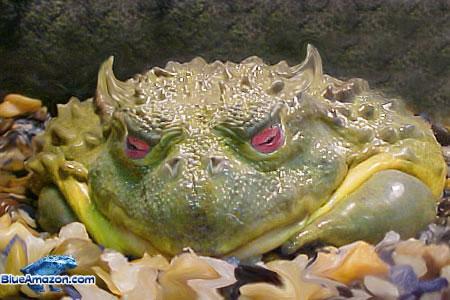 Then we can use it as an underground shelter area for fish and other amphibians.